So finally, the mod reached version 1.0 state. Only drawback is added complexity, you have many more components now (about 50 or so). Thanks for that. Updated both the image and the source file with corrected values. Is the standard audio out from a G/MD 2 pre-amplified? Image and schem file updated. I fixed the two joins on power, but I don't see the ground touching VCC. Can you clarify where that is? Directly under the "All transistors are 2SC945" box. it is preamplified in all MDs, and done poorly, particulary in MD2s, where sound is very filtered and distorted... this mod will make things unfiltered and undistorted, like Kega Fusion for example. Op-amps are good for reducing the component count. Yeah, you'd need to get various signals at more or less the same impedance. Is there any DC bias on the PSG/FM signals? If there was you could get away with just a quad op-amp wired as voltage followers. Also, what are you doing for a power supply to the op-amp? 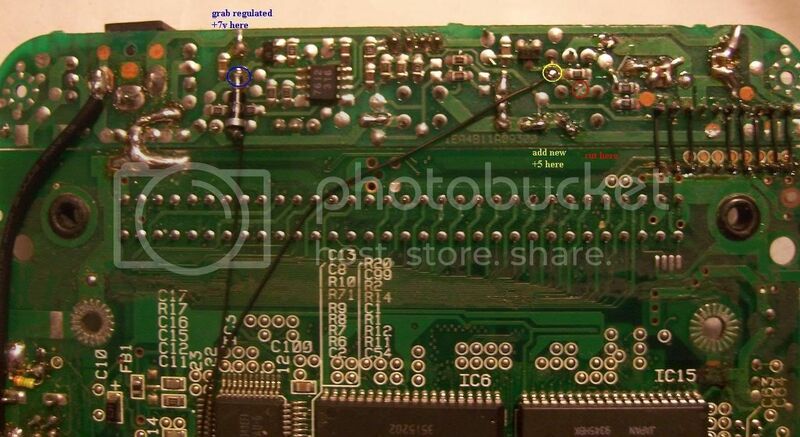 The '4558 isn't going to work very well with the Megadrive's single +5v rail. FM is on 2.5V at least, but PSG is at 1V, and FM is like 20db more quiet than other signal sources. Do you think it will work as well if I built it from parts in my own stock? Looking at a NE4558 datasheet, I doubt it. There are lots of audio grade op-amps out there that will work just fine at 5v. That looks like those chassis mounted old tube radios !!!! I am The Eggman, I am The Walrus, Cuckoo Kachoo! Still sounds amazing. Now if only emulators and VGM players would sound this crystal clear. Oh... How it's hard to live without schemotechnic's knowledge... There actually no need to build such schematic. 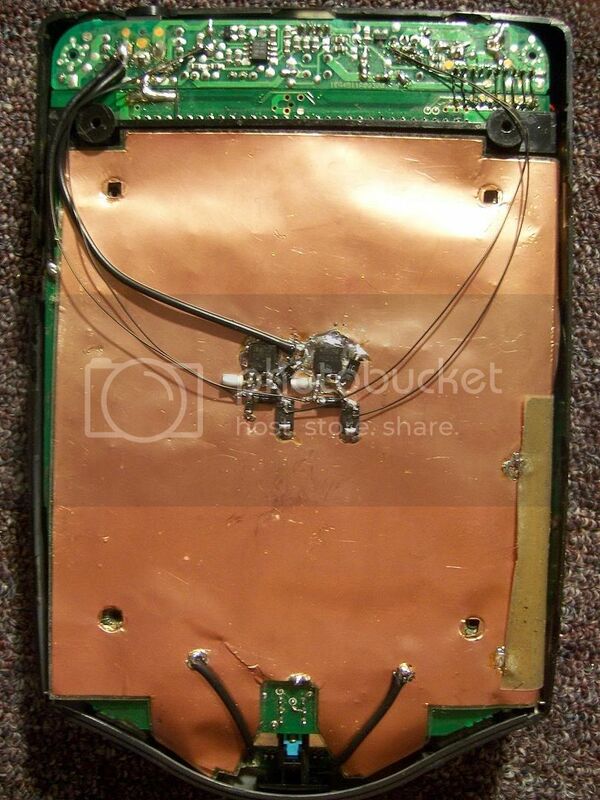 Just replace some capacitor's in op-amp section and it will have another frequency cut edge. Basic schematic cut out anything higher than 8-8.5 kHz. ^_^ If i find time i'll take some fotos of mine board with such audio mod. the stock setup also distorts audio quite a lot even when its cutting most of the audible freq range.... lifting the filtering cutoff won't get rid of that, but it will make things cleaner sounding. would you then say that this Model 2 Mod if done right gives the best sound from any version of Mega Drive/ Genesis modded or unmodded? If so this is helpful because the model 2 is the easiest to come buy and certainly cheaper than laseractive or wondermega. Yep, it does give best sound than any unmodded version. All systems with 5487, 5600, 5608 and 5700 ASICs can have this mod (that includes Wondermega, Xeye, Nomad, CDX to name a few). Forget just the Model 2; there's a particular model of the Genesis Model 1(VA7 motherboard only) that uses the same circuitry as a Genesis Model 2, complete with the same incredibly awful sound circuit. I've built the prototype version of Tiido's circuit when I first found it on Sega-16, and while it is possible to get sound out of the Mono audio outputs via the RF modulator and Multi-A/V out, that old circuit was too weak to get a properly amplified sound output on the headphone jack. That reminds me: Tiido, I have yet to pick up another VA7 Genesis Model 1. They're still common as hell, but I haven't been looking around flea markets and the like around my area as much as I normally do, but I should be able to go looking for a VA7 Genesis Model 1 on Friday. But even if I pick it up, there's a good chance I'll only be able to ship it in December. In the meantime, I'll check to see if the new circuit, once I've built one, amplifies the sound enough to be heard well via the VA7 Model 1's headphone jack. you will need an additional amp if you want as loud sound as you would get from a real MD1. The output should be around as loud as MCD RCA out. I assume, then, that without the extra amplifier, I would still be able to hear something? It won't be as faint as the prototype circuit(too quiet to hear anything)? its little less loud than NDSlite.... too quiet for my taste but muuuuch more than the previous version. 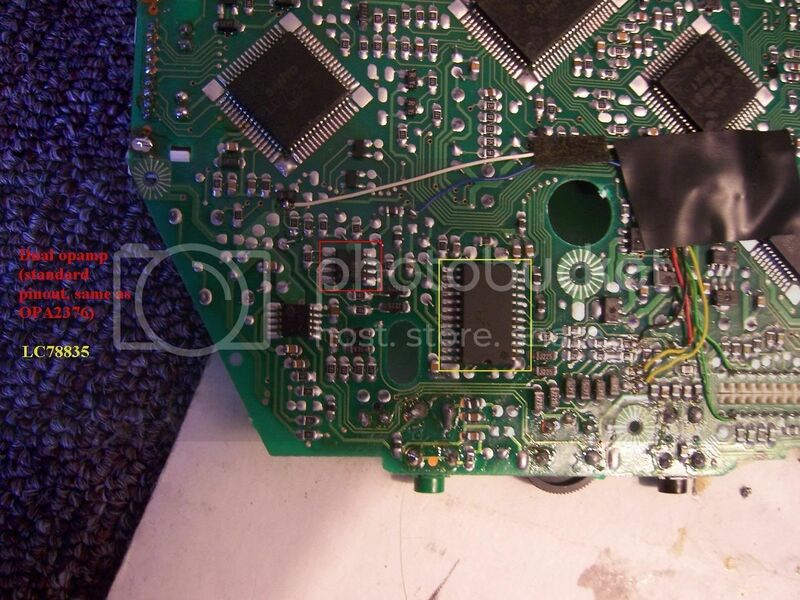 There's really no point in adding Tiido's circuit to a Sega CDX, as its sound is already quite clear out of the box. It's just a little quieter than most of the other Genesis systems. Really? I dunno about that, it sounds pretty crappy to me. There is a lot of distortion and nosie, partly due to the opamps it uses I'm sure but it definitely doesn't sound half as clear as the sample download songs from the mod. Anyone else have a similar experience with their CDX? I found the audio DAC though, it's a LC78835. I can't make out what kind of opamp it is since the only marking is "4510" and my searches found nothing to match that. Fortunately it is a standard dual opamp pinout so I was able to replace it just now with a better one (OPA2376). Sound quality improved nicely but I'd still like Tiido's mod quality. I'm thinking about running the opamp on a dual supply as well to improve the quality and maybe replace some of the caps (the audio actually runs through some electrolytic caps which I don't think are the best for audio). I have a MultiMega around, and it does sound very nice, at least MD side... there is considerable amount of digital noise and video noise in the sound, particularly because of the compactness. You can fix this by adding a linear power regulator and use it to power all audio parts and nothing else. This is what I did in my MD2 and things became really nice when it comes to noises in sound. I need to do more research around CDX / MultiMega, its compactness makes things quite challenging though. to get good sound, you will have to kick out the 315-5684, there's nothing you can do about it... I believe its some octal opamp by ROHM. This is good information. It's that digital and video noise that I can't stand despite the sound quality and so that's what I am trying to fix. I already added a linear power supply to the video circuit separately but there was still a *lot* of video noise. It wasn't until I used a linear 5v instead of the main supply that that really improved...and that was after I installed new caps for the old power supply. I think your suggestion of using linear regulation for just the audio parts is a great idea...the only problem with that now is I will be cramming 4(!) 7805s in there which will produce some considerable extra heat. I don't mind kicking out the 315-5684 as my soldering skills are very good. Do you know the pinout for it? If it is just an opamp I would to replace it but I can't tell what it is at all. I did trace the audio lines to the lower CD PCB and to that DAC and subsequent opamp I mentioned. if you think it would help I would be glad to post pictures on my findings. Let's make the CDX/multimega the best tiny Genesis/MD is out there! 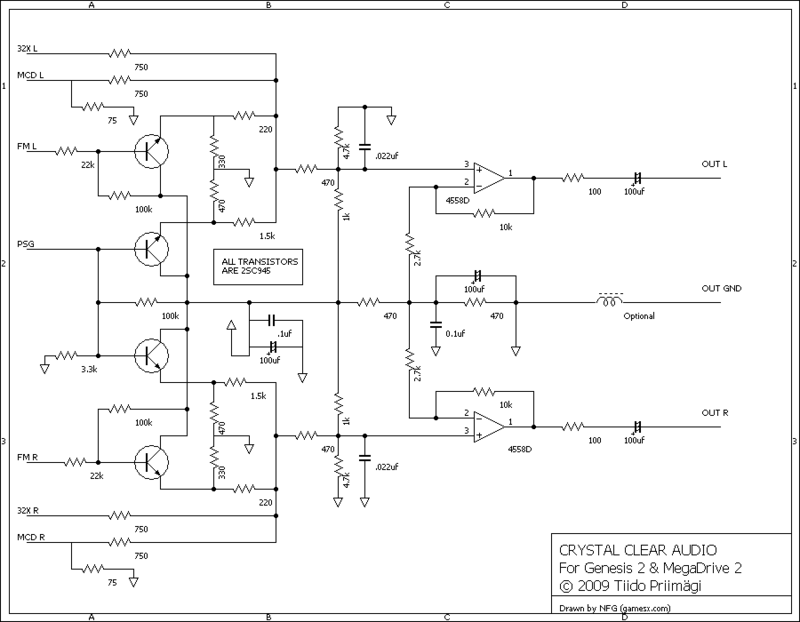 Here's a schematic of the mixer chip in MD2 VA3, it seems to be same in MD2 VA4 also. Nomad has thigns a bit different, I've yet to work out a schematic. 32X uses same chip too and things aren't really different, except there's unused input pins (which should be tied somewhere to reduce noise...). Thanks for that schematic Tiido! That's the opamp I replaced and the DAC. The hand soldered sub board that is a fix Sega installed with every CDX unit I've seen is also something working with the audio and should have its +5v from the 7805 as well (I believe they made it easy by using red wire even). The LM2676 looks great for a 7805 replacement. Won't generate as much heat either. Though fitting inside a CDX might be hard and ideally it would be nice to find a newer chip out there designed specifically for low noise apps with high PSRR and all that. I'll look around. It looks like that schem has all the info needed to replace the 315-5684 with the better mixer circuits from this thread, correct? Glad this project is finally going through, looking forward to hearing your findings. Egh...having trouble finding the other DACs.. I got the rolling lines on video from the default setup but I'll try that extra bypassing. Tracing the 31-55684 is proving extremely difficult...I can't even find the placement of the components to remove (since it is a 4-ply PCB after all...) are you having any better luck with this? What is the 4558d? Is that the opamp that I could not identify? That was located by the headphone out which is what I've been working with (or rather, the line out which looks to be wired up pretty much the same minus the pot). I'd love a picture of your ultra modded MD2 with a description of what you've done. It's looks like you've tried a lot of new things and it is very interesting. I have not messed with the setup yet, i've got some other commission things to work out first. Regarding my MD2, I'll make a shot with comments sometime in nearer future. There's quite a lot of stuff done, some of which is never done before, at least not that way. looking forward to your MD2 desc. and working on this project more when you get the time. Until then I'm going to experiment with what we've been talking about i.e. bypassing what audio circuits I can find and putting in better power regulation. In the future I would love to tackle the 315-5684 mod with your help.